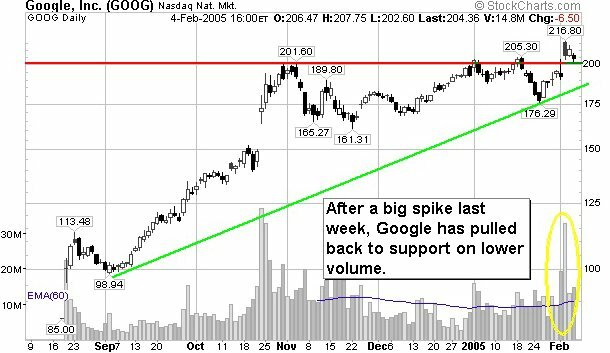 After a few whipsaws across the magic $200 level, Google blasted through it decisively last week. 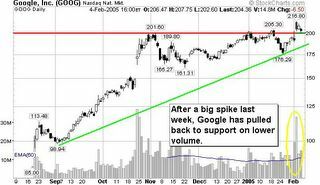 This low volume pullback might make an attractive entry. We try to focus on natural resource companies, especially uranium stocks but it never hurts to keep an eye out for opportunities.